The Tenspeed Heroes were spending a few days relaxing from the 2009 Tour in St. Gervais Les Bains when we came across several boxes full of Miroir Sprint magazines. 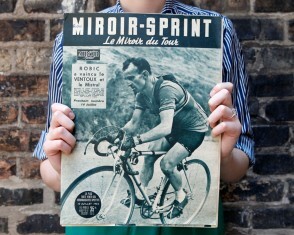 This box of cycling treasures from the 50′s and 60′s was the inspiration for the Tenspeed Hero Newspaper. 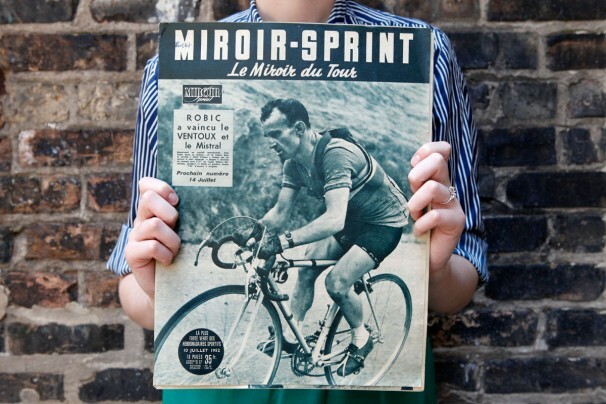 Along with its summer cousin Le Miroir du Tour, Miroir Sprint was founded in 1946 and born out of the communist party as an antidote to the capitalist/commercial press of L’Auto and the dearth of newspapers following the war. Often referred to as Le Parti Des 75,000 Fusillés (The Party of the 75,000 executed people), The French communist party used political strength gained by resistance to the Nazi’s to play a role in society’s consumption of entertainment. Many resistance fighters who had been journalists before the war joined their comrades in producing the Miroir Sprint magazine until its demise in 1971. 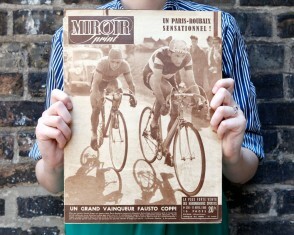 On its pages, the class struggle could be played out with Poulidor and Anquetil battling their way up the Puy de Dôme. 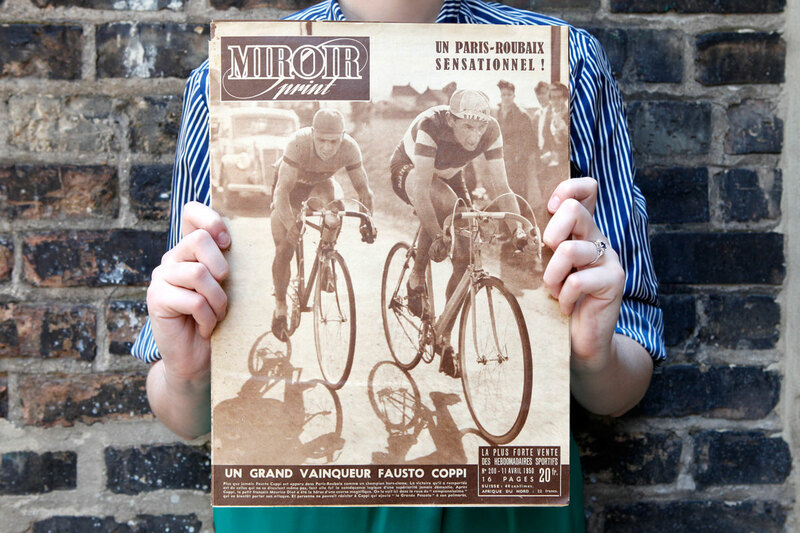 The Miroir Sprint’s classic images evoke many of the qualities of the well-edited Rouleur and remain dismissive of the quickly posted pics from the likes of most cycling news sites. Fans could also tune into soccer, rugby, boxing and the brilliant cartoons of Pellos for their daily bread. Tags: France, Newspaper, Pellos, Tour de France.